select is a POSIX syscall which allows you to wait on several different filedescriptors (including sockets) for the event that they won’t block on write; won’t block or read or are in error. This syscall is very convenient when you’re writing a server. When I want to shutdown an instance of the server, I have to interrupt the select. I have yet to find a satisfying way of doing this. At the moment I create a pair of linked sockets with socketpair. I include one of them to the sockets on which to block until there is data to read in the select call. To interrupt, I simply write some data to the other socket which will cause data to be available on the socket which in turn will interrupt the select. There must be a more elegant solution. bcmap is a simply program to be linked against klibc to map Broadcom RAIDCORE disks to more sensible and stable device nodes. Currently the bcraid drivers assign the next available sd node to a detected disk, which is very inconvenient when you have a usb stick inserted on boot which pushes your root disk from sda to sdb. bcmap ensures that your first array will always be /dev/bca, which is a nice thing. At the moment I’m trying to get the bcraid module working in an initrd to allow the root partition on the raid drivers. With the linux Set UID Attribute you can let the owner of the file be the one the execute it when another user executes the file. This feature has traditionaly be used for system tools in linux which require root access to run but also must be able to be run my users. It came to mind that a floppy with the ext2 filesystem could contain files of the root user with this Set UID Attribute set. Which theoraticly would allow anyone who is allowed to mount floppy’s or other media with an filesystem that supports this attribute to gain root access for a program. I ran my program, and it seemed to work! The contents of the /etc/shadow file was streaming on my console. Euforicly I went to another linux computer and tried the same trick. Dissapointed but releived it seemed that linux had already some precaution against a root Set UID-ed executable. I copied the contents of the folder whilest preserving permissions to another folder outside the /mnt/floppy and it all seemed to work again, although I couldn’t do it with a normal user account for I can’t preserve the owner when copying a file as a normal user. I wondered how linux would secure it and tried to run the program while it was unchmodded. The warning is from bash which can’t seem to execute the program. (note that it isn’t the program that can’t acces shadow) . After recompiling it on the floppy itself it seems that linux prevents any program to be executed in an user mounted folder. I recon that that security precaution is a bit too strict. Although copying the file from the medium to a normal folder and then executing is still possible, I find it a bit strange that nothing of the user itself can be executed. This could result in trouble when dealing with netmounts where one user can has a share on a server where he puts his files and can access only that mount for space on a terminal, when dealing with an user mount which would be required for security. BSD is Unix.. said to be the professional cousin of Linux. This piece of propoganda for BSD against linux gives as reason that linux is bad for it is told to be just hacked together. This because of the people who develop linux are just people from the community who put a little bit of time in it to get a feature (they probably want) added into Linux and don’t really concern about making it perfect, was said. They took some of the sarcastic ‘todo’ comments in the kernel as example, blaming that if that stuff is in the kernel linux can’t be trusted at all. But why does BSD hasn’t got the widespread hardware support Linux has? They blame the big company’s like IBM for instance. I just wonder whether their 60 dedicated BSD programmers could code all the hardware drivers that the thousands of contributers of Linux have coded, even if it were as bad as it is now according to them. I bet that *BSD has got more than enough of those comments in their code too. If they haven’t they are just hiding the truth and hiding points of improvement, for these TODO’s and FIXME’s are fixed in the end. And even if they get rid of all the TODO’s and FIXME’s before they release any of it they waste a lot of time it could have been used already (less efficiently though.. but it usualy doesn’t make such a big difference). You got to config and build it manually..
Linux wants to get popular. 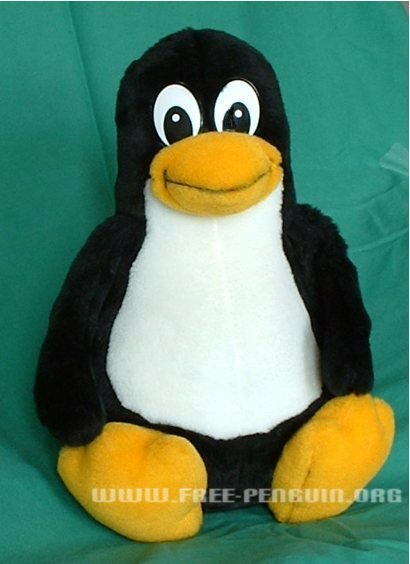 Everyone using linux wants linux to grow bigger and bigger to ultimately have linux be the operating system dominating. err.. correction.. independant distributions and inheritances of linux to avoid the nasty monopoly stuff. Even your mom should start using it. Sounds good. Even if linux is in some people`s opinion not the best OS it still has the best community backing it and is the most secure OS. It also has got the most support from the community. If something is required or has to be fixed it`ll happen in notime. So why doesn’t everyone use it already? The problem is that linux demands too much from the user. A linux user should be able to at least have a grip of how a console works. And preferably has to know how to compile application and fix bugs when it won’t compile. And a user should know how to get dependencies it misses. An user should read through the fast different documentation of each application to even begin to hope to get it running easily. And an user should start over every time a new version is released. Sure, they got RPM’s and yumm which makes life a lot easier. But the yum repositries don’t contain everything. If you want some new stuff, or an application with a certain module installed you have to go dig into configuration files, master the console, read through documentation, compile, and offcourse check your version dependencies, etc. The average windows user like your mom doesn’t even know how drives work and certainly have never heard about the command line. It just wouldn’t work out. They got a lot of trouble even with just one or two options. When confronted with linux with hundreds of possible options and even stranger errors it just won’t work out well between them. It certainly is possible to stick to the main applications provided by your redistribution and using the yum repositry. But linux will never run as satisfying as when you get it all compiled yourself and configured yourself. This really makes a big difference! I made linux start up a lot faster by compiling the kernel with only the modules I require with computer specific optimalizations. These little things give linux a really big edge over windows. Linux is and remains only interested for adventerous ‘power’ users with quite some free time on their hands.